Hendrik-Jan Grievink is researcher and designer at Next Nature Network, the international network that stimulates debate around the impact of technology on the relation between people, nature and technology through multidisciplinary projects, publications and events. Among other projects, Hendrik-Jan is designer of the In Vitro Meat Cookbook, an award-winning cookbook that explores the future of lab grown meat through 45 speculative recipes. 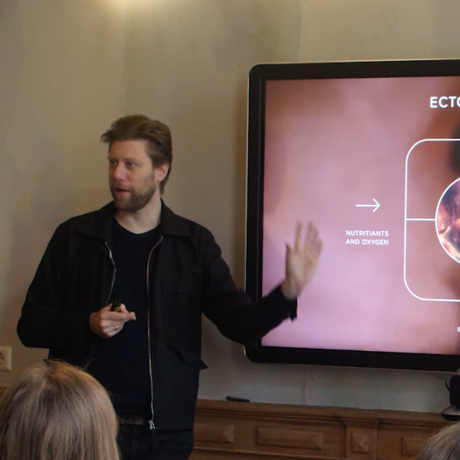 Hendrik-Jan currently leads the Reprodutopia project, a research into how emerging reproductive technologies (such as artificial wombs) will impact the way we make babies, experience intimacy and build relationships in next nature.